This image was floating around on Facebook yesterday and I love it. I love thinking of the start of a new year as a blank slate and, most importantly, I love that *I* get to choose what I do with this blank slate. That has never felt as true as it does for me right now. Professionally, I’m starting over. I’ve got my hands into so many projects and places that I’m excited about that I can’t wait to see where my career goes next. Instead of going in the direction the Big Company wants me to go, I can decide which path works for me. While that’s scary, it’s also liberating as hell! Personally, we are rocking! We had a fantastic school break with the kids- I’m sad to send the little buggers back to school tomorrow. They are old enough now that they’re just plain fun- everything is exciting and their imaginations are boundless, which means they did a great job keeping themselves busy this break. I say this every year, but right now 7 and 5 are my favorite ages. The Hubs and I are in a good, good place. Losing my job forced us to have a lot of conversations about stuff we hadn’t addressed in a while- money, goals, timelines and hopes. We were floating through life and that was going well, but this has forced us into the hard conversations. It’s nice to know that after almost 16 years together, we’re still after the same things in life! 2013, when I look at you in bits and pieces, you royally sucked. But when I look at the big picture, I realize that all your bad moments were buffeted by so much good. Thank you for keeping my family healthy and happy and safe. Thank you for blessing me with love and support and friendship and amazing experiences. 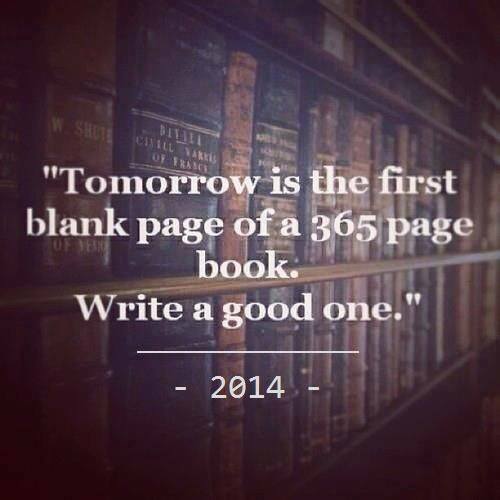 But please don’t let the door hit you on the way out because I can’t wait to see what 2014 brings!